Welcome to the official homepage of Steve Ellis. 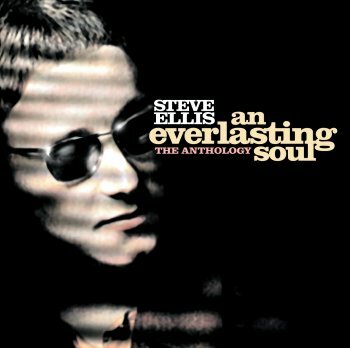 Steve Ellis first began singing in a band at the age of 15. The band were called Soul Survivors, initially gate crashing weddings, youth clubs and barmitzva`s in north London on the pretence that they were booked to perform. When the band improved substantially they began to play venues such as The Marquee, The Flamingo, Tiles and Mod clubs in Brighton, Clacton and Soul clubs in Manchester, Stoke etc. After the bands first release on Decca Records, they moved on to CBS and became one of the most successful British pop acts of the late `60s, under their new name "Love Affair", and had a string of hit records. Boom! Bang! Twang! 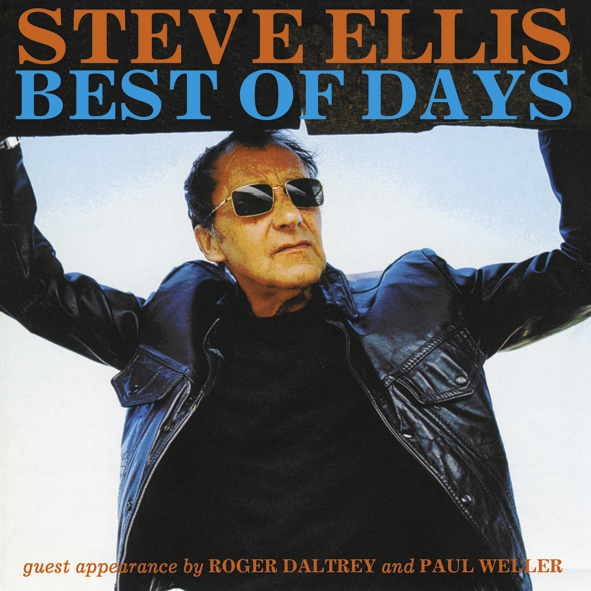 Album Sampler by Steve Ellis on VEVO. On 6 February 1968, one of the UK’s most endearing number ones - Everlasting Love - hit the top of the charts. The group behind it were called Love Affair fronted by singer Steve Ellis who was acknowledged as having one of the best soul-rock voices in the business. With their sharp Mod looks and a host of national TV appearances behind them, Love Affair found themselves enjoying the kind of exposure and adulation that was being afforded to the likes of the Beatles and Rolling Stones. Their version of Everlasting Love remains a stone-cold classic, one which not only reached number one in the UK, but went Top 10 in 7 other countries and has amassed over 10 million sales to date. Its enduring charm has seen it copied by everyone from U2 to the Cast from Casualty, as well as appearing in numerous films and adverts globally. 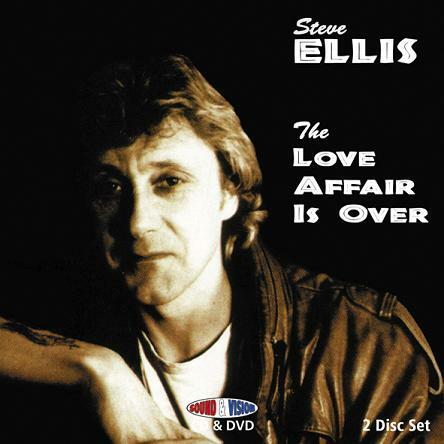 However, the only member of Love Affair to appear on the actual record is Steve Ellis and it’s this fact that provides the backdrop to a 50-year tale of triumph, tragedy and resurrection. 2018 marks a very important anniversary for Steve Ellis. in the same year that Everlasting Love celebrates its 50th birthday, Steve releases a new album ‘Boom Bang Twang!’ on 20 April, 2018. Fittingly enough it reunites Steve with the label where he enjoyed great success with Love Affair � CBS/Sony � and is an expertly crafted mix of new songs and some heartfelt covers with guests and long-time friends Paul Weller, COW, Manfred Mann’s Mike D’Abo, Kev Wallbank (The Dream Foundry), Andy Crofts and Ben Gardelier (The Moons). ‘Boom Bang Twang!’ is the work of a man who believes in not resting on his laurels. ‘Boom Bang Twang!’ shifts effortlessly through soul, rock, rhythm & blues, reggae and pop with all the quality one would hope for from an artist who’s been there, seen it, done it, and still has the t-shirt. The first single Lonely No More, co-written with Paul Weller, is a glorious Northern Soul-esque shaker absolutely primed for radio. Soul Trek is another stand-out. Utilising an exquisite John Schroeder string arrangement, Steve delivers an outright corker of a song. Forever (written by COW) is a real sweet, catchy love song; Forgot To Be Your Lover a truthful and respectful cover of the William Bell classic, whilst Gerry Marsden’s Don’t Let The Sun Catch You Crying runs deep, soul deep. Cry Me A River (again with Paul Weller) is a nitty gritty rhythm & blues stomper, Jimmy Cliff’s Sitting In Limbo gets the Steve Ellis makeover as does Tim Hardin’s Black Sheep Boy, whilst album closer Oh Death, sees Steve explore psychedelic blues to dramatic effect. The Steve Ellis story begins In1966 when as a 15-year-old, Steve got his first professional gig singing in a group called the Soul Survivors. After the band’s first release on Decca, they moved on to the CBS label and became one of the most successful British pop acts of the late 1960s under their new name ‘Love Affair’. Affair scoring a string of chart busting singles in 1968 including Everlasting Love, Rainbow Valley, Bringing Back The Good Times, One Road and A Day Without Love, in autumn 1969, Steve Ellis walked out of Love Affair to re-think his musical direction. CBS retained him as a solo artist and his future appeared decidedly rosy. Steve seemed to have the world at his feet, but it didn’t work out that way. Some excellent solo singles and a killer soundtrack (Loot) failed to ignite, then came stints with 2 new bands - firstly under the name of Ellis - followed by one album with rock super group Widowmaker - before another solo album was shelved due to contractual issues. This was followed by tragedy when, having given up on the music industry to work as a Docker in order to get “match fit” and to re-think his next musical step, Steve suffered a most horrific accident or as he calls it “an altercation with some two-tonne forklift blades.” An incredibly brave, 8-year fight to regain his mobility ensued and led him back to music in the early 90s. For the best part of the next 10 years, he toured as Steve Ellis’ Love Affair and once again found himself being cited as a Mod hero to a new generation of fans whilst retaining the support and respect of his own musical peers. One such occasion was the 2001 Steve Marriott Memorial Concert (held at the Astoria), a much-revered show which saw Steve perform alongside Noel Gallagher, Paul Weller, Peter Frampton and Small Faces’ Ian McLagan and Kenney Jones. In 2004, It was somewhat fitting to see Steve joining Pete Townshend, Ronnie Wood and Slim Chance for the unforgettable Ronnie Lane tribute show at the Royal Albert Hall. The past few years has seen Steve release two acclaimed solo albums ‘Best Of Days’ & ‘Ten Commitments’, as well as touring regularly and generally applying himself at what he does best - singing and performing from the heart with that tremendous (and most definitely intact) voice of his. Now back with the label where it all happened originally and with a fine new album to unveil, Steve Ellis has come full circle. New Single for release in the Autumn. Produced by Sir Charles Rees/Paul Weller/Steve Ellis. Mark and Maxine from the band COW met Steve Ellis (voice of the love affair) in a clothes and record shop in Brighton in the summer of 2013. We started gassing about various interests, mainly music, and we struck up an instant friendship. Steve mentioned that he was thinking of putting together a new solo LP of his own material and songs from other writers too. We sent Steve half a dozen of our own songs waited for a bit, then Steve suggested we record two of the songs together, we spent a few days at Black Barn studio in Ripley Surrey, and the job was done ! Engineered by Sir Charles Rees and with a little help from some of our mates.....including Kenny Carrol on keys, Paul Weller on guitar and piano, Tom Heel on drums, Andy Lewis on bass guitar and Kev Wallbank on tuba....the double A was in the bag! The single is due for release soon with "Rise" going on Steve's new album and "Up" being put on COW's new album both due out later this year. CHERRY RED Records are set to release the Definitive Steve Ellis and Love Affair collection on a three C.D. BOX SET scheduled for release in June. More details to follow including Catalogue number and how to order in due course. Disc 1. Love Affair the complete Recordings + Rare BBC sessions never released before. Disc 2. Love Affair. New Day with Gus Eadon. Disc 3. Steve Ellis. The Lost Masters remixed and containing over twenty classic tracks. 1976 saw the launch of a new rock super group fronted by two of rocks most inflammable and provocative artists, Steve Ellis and Ariel Bender. Steve Ellis had fronted Love Affair and enjoyed 5 top 20 hit singles from1968 to 1970 including 'Everlasting Love' and 'Rainbow Valley' before he left the band to pursue with some success a solo career. Ariel Bender had started life in Spooky Tooth before joining Mott The Hoople and then Stealers Wheel. Signed to Jet Records (owned by the infamous Don Arden) Widowmaker produced an album of hard rock to almost acoustic blues. A classic album now Remastered with bonus tracks recorded live at The Paris Theatre, London in 1976. New Album "10 Commitments" released on Angel Air, Monday 3rd October. To view the Press Release for this album, click here. To read a recent interview with Steve, click here. will be available in our new shop - coming soon. Great Studio - if you can find it!